Originally colonized by the Portuguese, East Timor was brutally invaded and occupied by Indonesian military forces in 1975. According to the UN, this resulted in the death of about a third of the population through massacres, starvation and disease. Subsequent events in Indonesia, however, have given rise to expectations of a fundamental change in its position on East Timor. 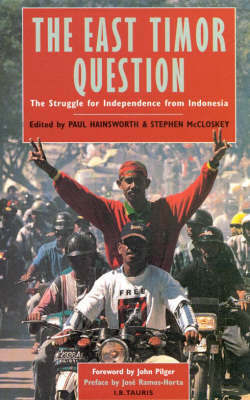 Considering the potential for change against a backdrop of growing popular and political support for the Timorese cause, this book addresses its emergence as an issue of global importance. The authors set out to show how local, grassroots, individual, organizational and campaign initiatives have contributed to this state of affairs, in the context of an increased international-relations emphasis on ethics, international morality and human rights.